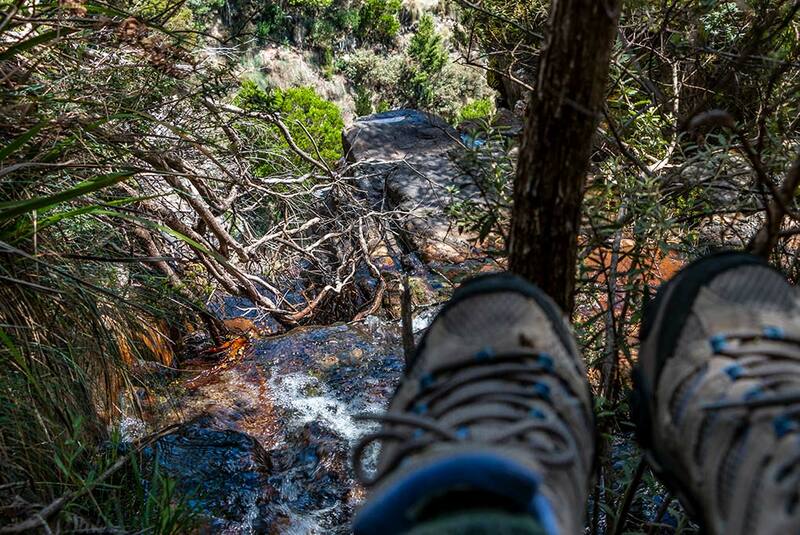 Ralphs Falls in North East Tasmania is promoted as one of Tasmania’s 60 Great Short Walks. 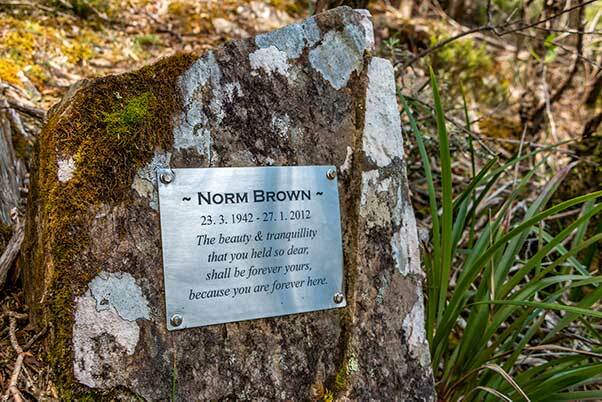 The Ringarooma community can be proud of making this spectacular walk on Mount Victoria available for tourists. It was officially opened in 1998. The casual visitor would not be aware of the huge community effort—spanning some 50 years—needed to make Ralphs Falls accessible. Hence I will give you a short history of their efforts. Where is Ralphs Falls in North East Tasmania? 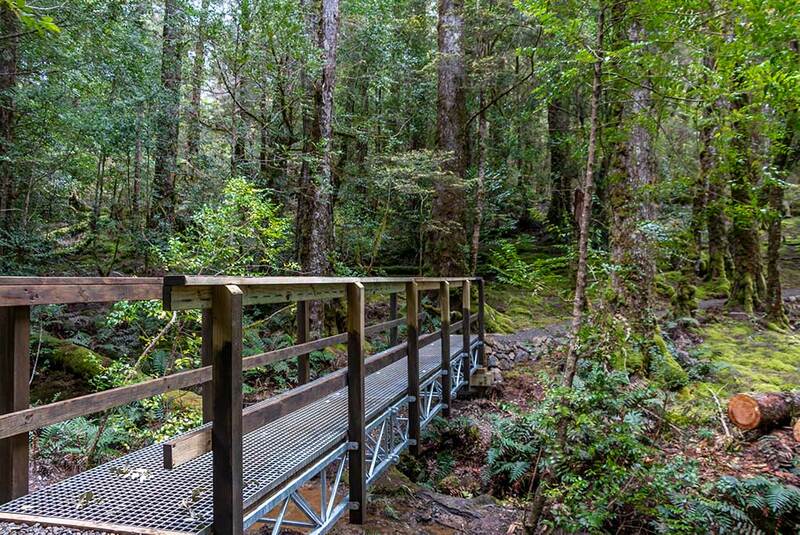 Situated betweenRingarooma and Pyengana the Falls are a 30 minute drive from the Tasman Highway. Take the C423 from Ringarooma then follow the signs. At a T intersection you will drive past the Ringarooma cemetery, next you will turn right onto the Link gravel road which takes you to the Falls. 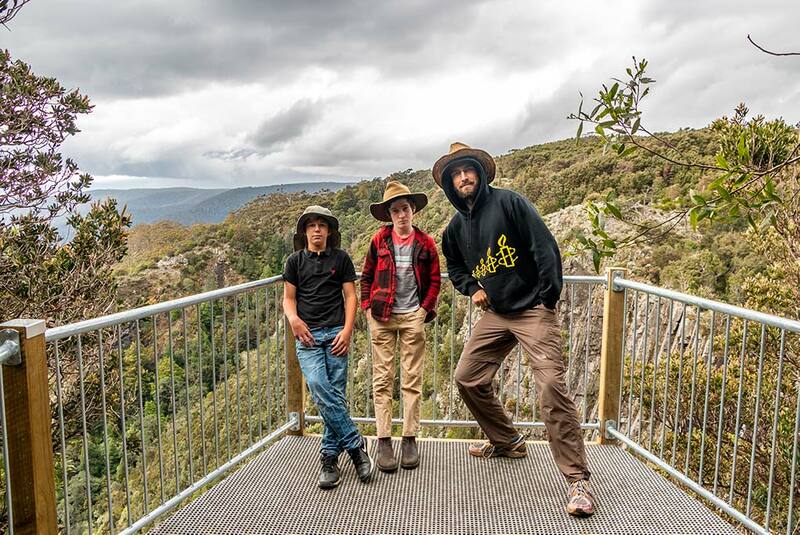 The walk is 20 minute return to the Falls or 50 minute circuit via Cashs Gorge loop. Who or What was Ralphs? The old timber-getters and miners had known about the falls since the early 1900’s. ‘Ralphs’ was a local timber-mill, so perhaps it was the owner of the mill who first described the falls? In 1916 the local paper recounts an excursion made by a party of nine on horse-back to visit Mount Victoria for the enjoyment of the views. The article refers to the New River Falls. (North Eastern Advertiser Tuesday 11 April 1916 p 3). During the early 20’s the local paper records the Pyengana residents’ desire for a link road to Ringarooma. In response, a Federal Government unemployment project commenced construction of the road in 1925. Unfortunately the project halted without completion in 1927. You can see signage commemorating the amazing hand-built stone wall. In 1951 a petition to the State Minister for Works and Land by the Portland (Pyengana) and Ringarooma Councils failed to see further work on the road. The proponents pointed out that the road would, ‘be a valuable tourist asset, being a scenic road with new access to the magnificent St. Columba Falls’. Furthermore the road would ‘substantially shorten the distance between Launceston and St. Helens’( North Eastern Adverstiser Tues 20 March 1951 p5). 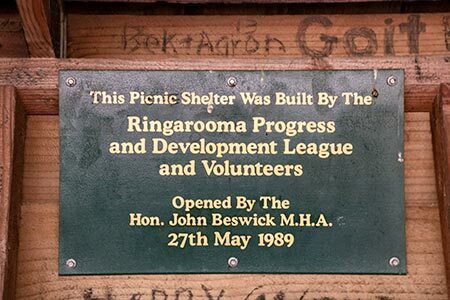 In 1979 the Ringarooma Progress Development League became determined to complete the link road. In addition they decided to construct a walking track to Ralphs Falls. . Ringarooma resident Norm Brown spear-headed the campaign. 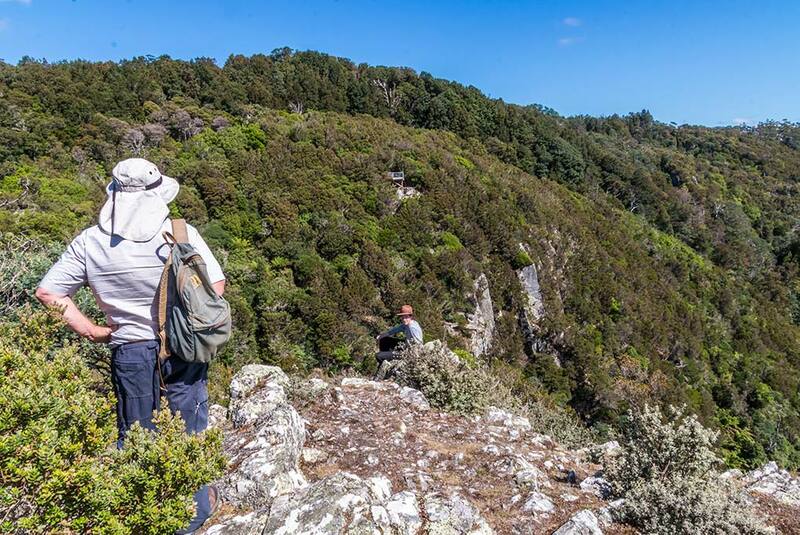 Despite local bureaucratic opposition, in 1983 the Mt Victoria Forest Reserve was gazetted. However the struggle to have forests of the North East protected from clear-fell destruction continues. 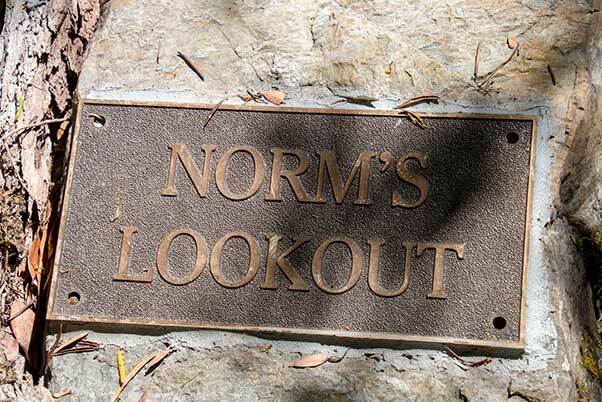 Here is an impassioned letter written by Norm in 2002 (pdf download). Over the next 2 decades many local farming and business families chipped in to work on the road from Ringarooma to Mount Victoria and the Ralphs Falls walking track. Trees had to removed and land-slips and large holes repaired on the original abandoned road. A local resident remembers this being rather scary because it was just a narrow track with precipitous drops. A local mining contractor donated his time and heavy machinery on the proviso that the group supply the diesel. Finally a new road was pushed across the mountain to meet up with the existing rough track coming up from Pyengana. Other volunteers then worked on constructing a walking track out to Ralphs Falls. It was hard going because all the cement, sand and stone had to be carried in using wheelbarrows and buckets. Volunteers often included parents and children. In some cases there were three generations of the same family working on the trail. One family even came from Victoria! In Norm’s words the group, fought petty minded professional bureaucratic obstructionists to eventually achieve the State Government funding to complete the project. 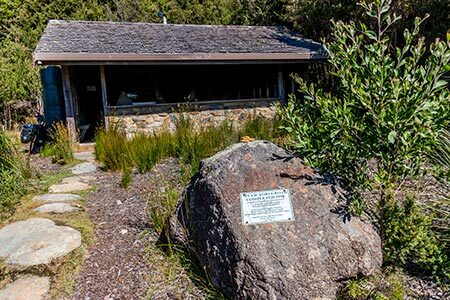 The State Government provided funds and encouraged Forestry Tasmania (FT) to approve the construction of Norm’s Lookout. 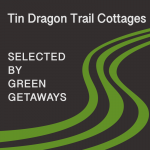 FT then provided picnic tables, a composting toilet and on-going track maintenance. The track, which includes ‘Norm’s Lookout’ over the spectacular falls, was officially opened by the Deputy Premier John Beswick in May 1989. Upgrades linking the Mount Victoria Road to Pyengana were eventually completed in 1998. In 2015 the area of the Ralphs Falls walk was placed under new land tenure. Tasmania Parks and Wildlife Service (PWS) now maintains this asset. After severe storm damage in 2014 PWS undertook major repair work. 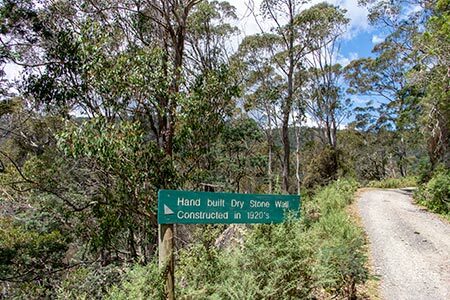 The gently sloping well-drained pathway, sturdy bridge and lookout now enjoyed by tourists was the work of legendary “Snapper” John Hughes, one of Australia’s leading track-builders in 2015. Ralphs Falls is a popular walk with tourists to North East Tasmania. Our family has enjoyed this walk on many occasions over the years and it always delights. 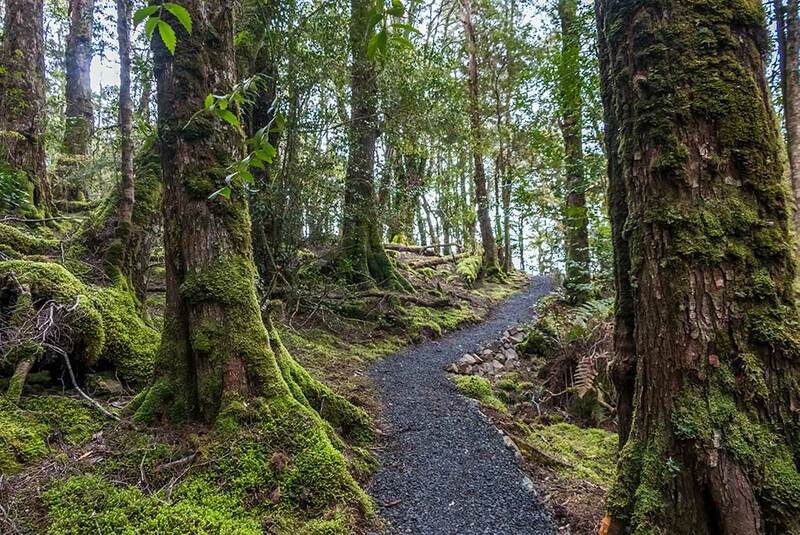 The 4 km easy circuit walk passes though lush myrtle rain forest, tea tree and button-grass plains. 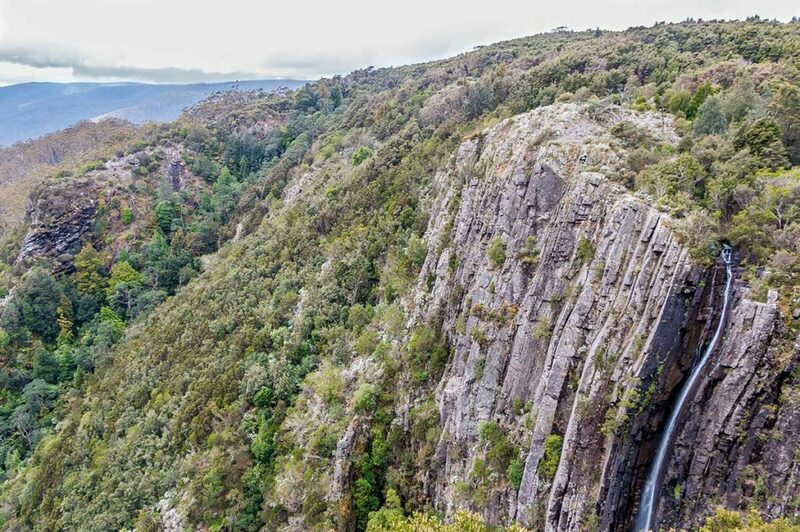 It features Tasmania’s tallest single-drop waterfall. Ralph’s Falls plummets down 100m of vertical dolerite fault to the valley floor. 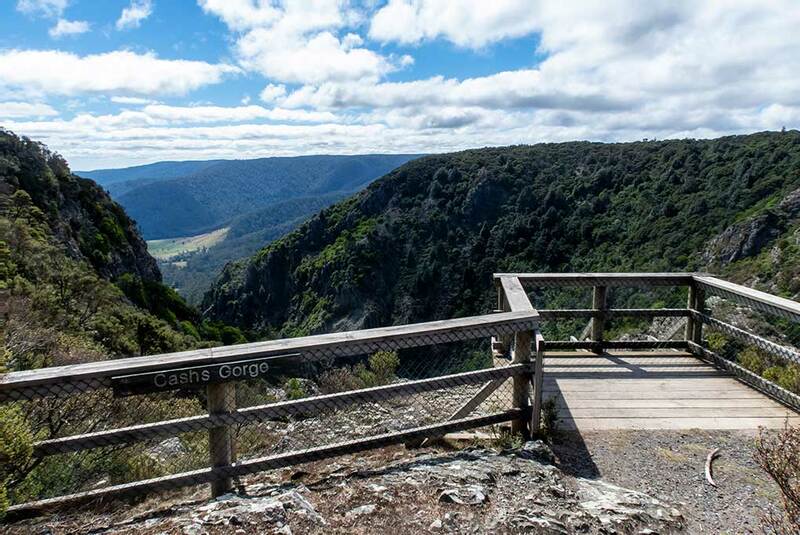 On a clear day the views out to the ocean over New River Valley and Cash’s Gorge are an extraordinary bonus! In the summer months the wattle birds, parrots, wrens and finches are active, insects buzz and the scent of honey is heavy in the air. You want to spend some serious time here trying to see the bottom of the waterfall and just gazing at the rocks…and trying to take the best-ever photograph! You can actually stand on top of Ralphs Falls. But I prefer to sit. Do be careful! Of course, this is not part of the formed track. The track follows the escarpment. I don’t know who Cash was. At this lookout you can see out to the ocean. The button plains are full of life. I think the boardwalk is a regular wombat highway at night. After the boardwalk the track continues through a short section of tea tree bush to emerge back at the car park and picnic ground. So now it’s time for you to enjoy that picnic basket of goodies we supplied you for your lunch!